Maybe you split a bottle of wine with a friend over dinner…relax with a cocktail or two after work…enjoy some beers on game day. You rarely or never drink to the point of feeling drunk. But even so, could it be—if you’re very honest with yourself—that your drinking is having a negative effect on your life…or on those around you? Or could this describe your spouse or another loved one? The bright side of light drinking (enjoying the flavor and social lubrication) are well-known…and the dark side of heavy drinking is certainly known by all. But this isn’t the whole story. Why you’re drinking could matter as much as how often and how much. There are four major motivations for drinking—enhancement, or drinking to feel intoxicated…conformity, drinking to fit in with a group…social lubrication, drinking to become more comfortable in social situations…and coping, drinking to reduce stress, anxiety or sadness. People who regularly consume alcohol to cope are particularly likely to become dependent on alcohol. If you tend to drink when you feel stressed, anxious or sad, it’s very important that you try other coping mechanisms instead such as exercise and/or meditation—they are effective and provide other health benefits. Also take steps to resolve whatever is causing your negative emotions. Remember: The beneficial effects of drinking always wear off. Addressing the root problem or problems is much better. Moderate drinking could be a stress ­reducer if you choose your drinking partners wisely. Other things being equal, alcohol’s ability to significantly reduce stress doesn’t kick in until blood alcohol reaches 0.06% to 0.08%—the point of intoxication. For most people, that requires three to five drinks. Lighter drinking than that might not be harmful in these situations, but it tends to provide only slight benefit, which is why stressed people tend to push past the one- or two-drink threshold. There is a potential loophole, however. Alcohol can help reduce anxiety and boost mood at a blood level as low as 0.04%—that’s two drinks for most people. However, to have this effect, this modest alcohol consumption must be combined with a distracting, enjoyable environment. If you occasionally do drink to cope, don’t beat yourself up about it—but don’t do it alone. Cut yourself off at two drinks, and consume these drinks with amiable companions you can count on for engrossing conversation or a fun game of cards or pool. Note: Many people say that they drink with friends because it makes the group feel closer. Having a drink or two while socializing can reduce social inhibitions and make group members feel closer, and that closeness can persist after the drinking—a good thing. But this is true only with light-to-moderate drinking. Drinking to the point of intoxication can often weaken social bonds. Intoxicated group members may engage in behaviors that other group members find off-putting and that they themselves feel embarrassed about later, and all this tends to pull relationships apart. Experiencing withdrawal symptoms such as sleeplessness, shakiness, irritability or nausea when going without alcohol. Drinkers often deny that they have a drinking problem by saying things such as, “I don’t crave alcohol” or “My drinking doesn’t stop me from doing my job.” These arguments don’t hold water. Exhibiting as few as two of the 11 symptoms can signal a drinking ­problem, and as few as six can signal a severe problem, so cherry-picking those that you don’t have proves nothing. When people estimate how much alcohol they consume, they tend to do so by extrapolating from their normal weekly routine. Example: In a typical week, you have two drinks on Friday and two on Saturday, so you feel that you average four drinks per week. Trouble is, when people do this, they tend to ignore the atypical weeks where they drink more—and those atypical weeks are much more common than they tend to realize. You had drinks with an old friend visiting town one week…drinks with colleagues on a business trip another week…drinks on a national holiday or on vacation. 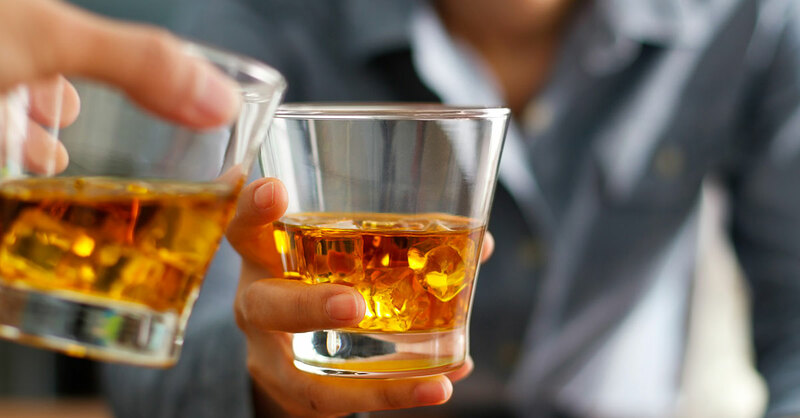 Some drinkers believe that a drink or two helps them think more clearly or steadies their hands, improving their performance with physical activities. This is almost never the case—numerous studies have found that mental and physical abilities tend to decline starting with the first drink of alcohol. The people who say this are often people who drink too much and are looking for excuses. Exceptions: People with the neuromuscular condition essential tremor may find that a drink reduces their tremors temporarily…and people who are physically dependent on alcohol might experience some mental or physical advantages from a drink or two in the short term.